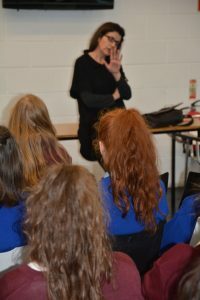 Award winning author Denise Deegan facilitated a very informative, fun and interactive writing workshop in The Source Library on Wednesday 6th December. 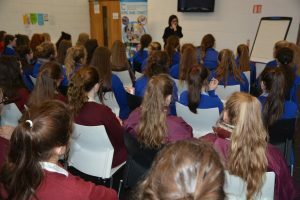 Transition Year students from The Ursuline and Presentation secondary schools threw themselves into the spirit of the occasion with great gusto. It was a huge success with students picking up effective writing tips from the master herself.